Vawdrey produces a full range of trailers to handle shipping containers ranging from 20’ through to 48’. 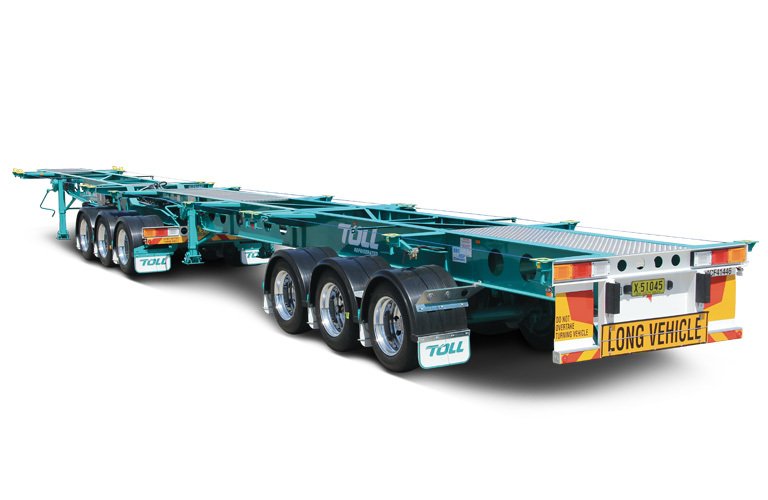 Trailer options cover suspension types, tyre size, neck design and frame construction to meet the specialised needs of operators in this field. All trailers are blasted, primed and finished in two pack Baked Acran to keep them looking good in this harsh working environment.